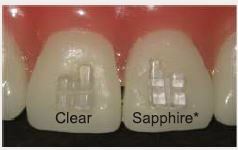 Clear is a sapphire ceramic system is crystal clear thus nearly invisible to others. 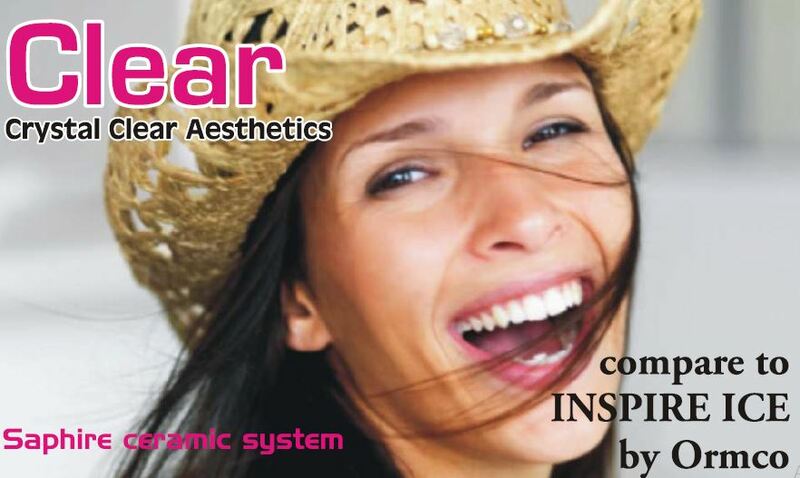 Patient Aesthetics – The brackets stay crystal clear without staining. The revolutionary material is glare free. 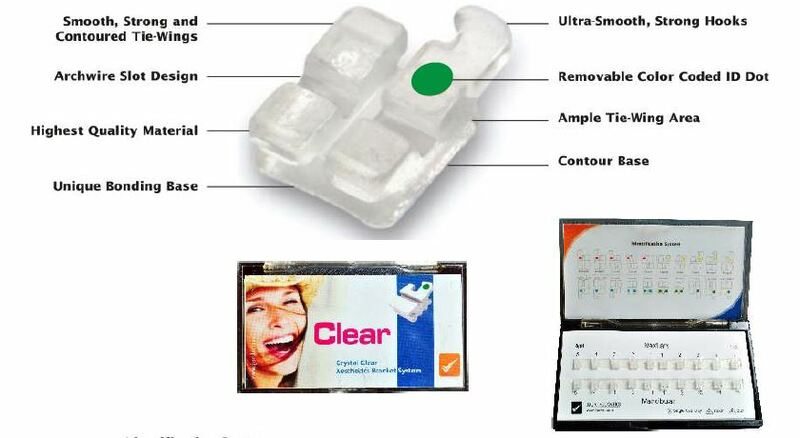 Patient comfort – Clear has one of the lowest bracket profiles in the industry providing best patient comfort. The bracket top is fully machined and polished. It has the lowest bracket height for less pressure on the patient’s lips and has 15 degree downdraft on tie wings for safe ligation. 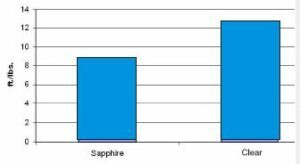 Bond strength – Proven mechanical bonding base provides excellent bonding strength and decreases accidental removal. 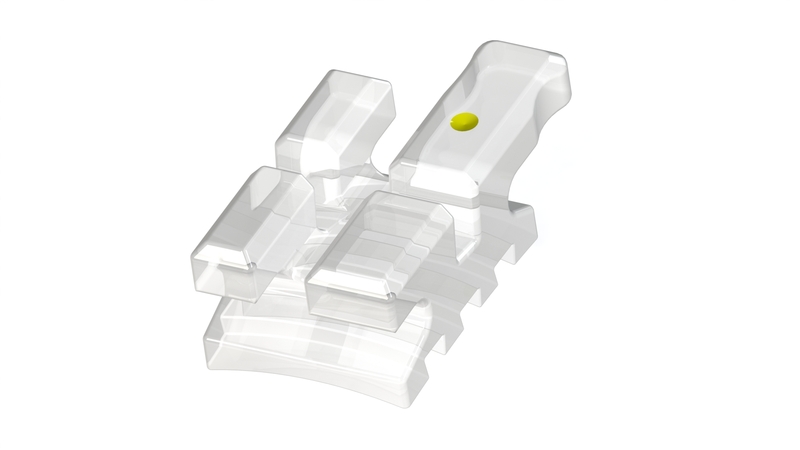 Patented Mushroom mechanical lock base provides safe and best bonding strength, with up to 50% improved fracture strength. 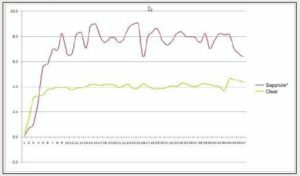 Intense utilization of computer strength simulation is done to identify and strengthen the weak areas of the bracket by maintaining flexibility for improved shock resistance. Increased 30% hook strength will ensure reduced breakage and less doctor visits. 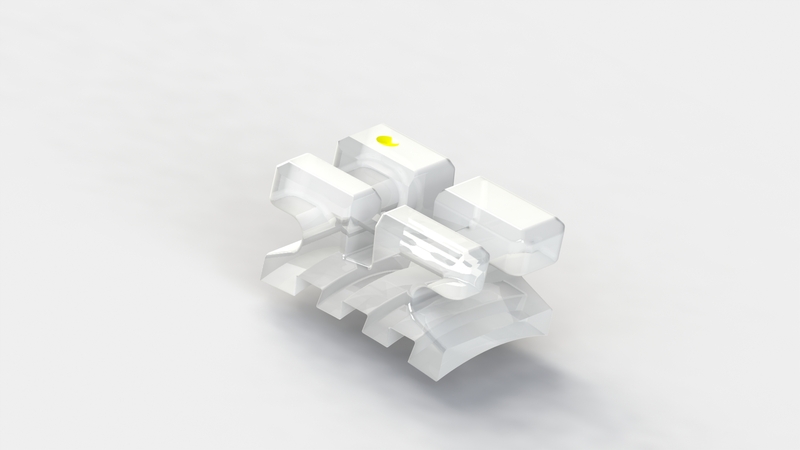 Predictable Debonding – Remove all ligatures and wires. 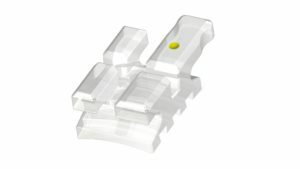 Remove flash from around the brackets with high speed debonding bur. 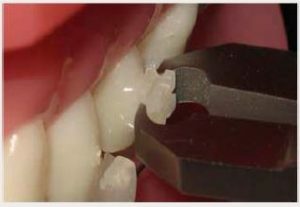 Grasp the bracket on the mesial – distal side close to the tooth and twist the bracket 90o degrees clockwise to safely remove the bracket. This mesial – distal twist procedure has been proven to minimize the risk of breaking brackets or harming the tooth’s surface.